Today, I'd like to share with you the story of a young man and his struggles with a running addiction. He's been running for a few years and each year his runs get longer and longer. In the past week alone he ran over 200km. He would get to a point that he was so tired and sore that he didn't want to run anymore, but would wake up the next day and feel the urge to run again. This isn't a new phenomenon either. After running a long race all he would want to do is run more! This is especially concerning given that after a race is when he should be trying to recover by not running! He would be sore and tired and blistered, but within a day after the race his mind says "OK, that's enough resting, let's get going!" Resisting that urge is remarkably difficult to do and often times impossible. This young man has all the tell-tale signs of a running addiction. Running is a common name for the prolonged elevation of the heart rate, stimulation of the mind and forward movement of the body through a series of repeated leg and arm gestures. Runners are those individuals who run on a regular basis. While running, runners will experience what is known as a runner's high. Following exposure to the runner's high, runners may become addicted to running and pursue the runner's high multiple times a week, and sometimes even several times a day. If you have some of these symptoms you may have a running addiction. You’ve built up a tolerance. You need to run more to experience the same effects you used to attain with shorter running sessions. You run to avoid or relieve withdrawal symptoms. If you go too long without running, you experience symptoms such as restlessness, insomnia, depression, and anxiety. You’ve lost control over your running. You often run more than you planned, even though you told yourself you wouldn’t. You may want to stop running, but you feel powerless. Your life revolves around running. You spend a lot of time running and thinking about running, figuring out how to do it, and recovering from running’s effects. You’ve abandoned activities you used to enjoy, such as hobbies, sports, and socializing, because of your running. You continue to run, despite knowing it’s hurting you. It’s causing major problem in your life such as pain, injuries, mood swings and other effects to your social and personal relationships. 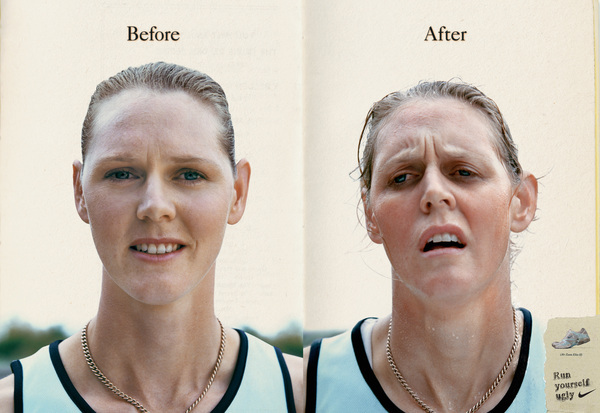 The effects of a running addiction. If you think you know someone who is a runner and has a running addiction look for some of these tell-tale signs. As the addiction progresses and more time is devoted to running, certain things like shaving are neglected. The addiction to running can be quite profound in some and may provoke them to choose running over their regular obligations. As with any addiction, money is required to sustain the habit. For running, these funds are required for running supplies such as shoes, or races so that runners aren't alone in their struggles. This is most evident for those who prefer running early in the morning or late at night as they sneak out of their houses wearing nondescript black clothing and attempt to avoid disturbing their family or neighbors. Changes in friends and hangouts will reflect the current state of the runner's addiction, whether they are just starting running, or have been engaging in this for many years. The extreme cases involve moving to locations that facilitate the addiction, such as Vancouver's North Shore, or to Colorado. This is an uncommon symptom of running but sometimes runners will experience falls and injuries from running in new locations. They may try to avoid explaining their injuries to others who do not run. 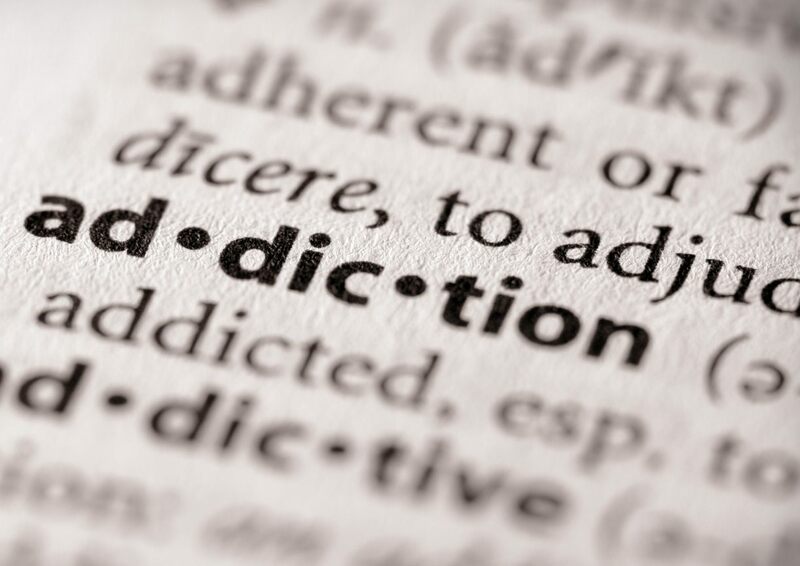 Take this test to find out if you're an addict. These changes can take place over several months such as an increase in positive attitude and are strongly linked to successful completion of these so called races. Changes within the span of a running session such as irritability near the end of long session or mood swings dependent on the runner's level of energy. Anger can also be expressed toward long, painful and unexpected uphill sections or towards running partners or race directors that made you to take this route. These periods of hyperactivity and agitation most often coincide with a reduction in a runner's frequency and distance of running, whereas giddiness is often expressed just following a race. These signs are often observed well into a race and can lead to a runner receiving a DNF, a potential side-effect of participating in races. These behaviors are also seen while the runner is at work as they are recovering from a lengthy running session or are simply thinking of the next time they will be able to go running. This is especially apparent while running in the dark as any noise may be perceived as an attacking animal. As well, runners may exhibit some of these signs prior to races as they become quite concerned that they will be unable to keep up with the other runners. If you're concerned about your running addiction, or that of someone else, seek advice from close friends, family and a running coach to help further the addiction. Group sessions are available on a weekly basis at your nearest running clinic and can provide the support needed to deal with this addiction.